Be ready to discover this beautiful project by Melissa Fraser with Edits by Dj Betty. both at home and abroad for almost two decades. Sue Ray, We All Want To (Tim Steward) and The Naked Apes. follow-up album to 2015’s ‘Crooked Purple Lines’. 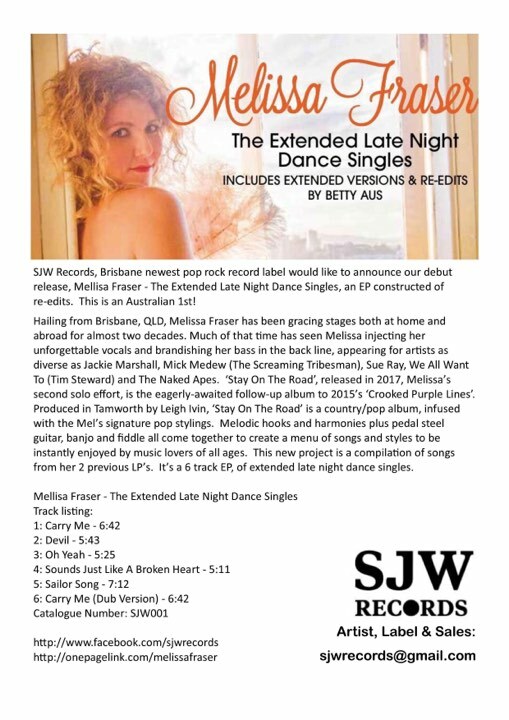 country-oriented album, infused with the Mel’s signature pop stylings. enjoyed by lovers of music young and old.